If you know me, you know that I'm really picky when it comes to foundations. I tried a lot of them, from high-end brands to drugstore brands. My all time favorite foundation (for 3 years) is the NARS Sheer Glow. I never came across another foundation that gave me the result as good as the NARS Sheer glow. 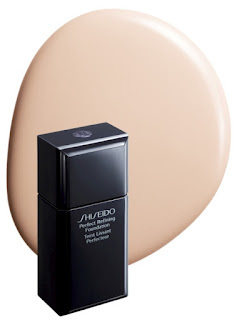 Before I start reviewing that Shiseido foundation, I first need to tell you more about my skin type because it makes a huge difference on the final result of a foundation. I have a normal/combo sensitive skin. My skin type will change depending on the weather, on what I eat, on the pollution, ... In summer I'm a little bit on the oily side (only on my t-zones) and in winter a little bit on the dry side (mostly my cheeks and nose). - Finish : Semi-matte > This may depend on your skin type and if you powder it after. If you have a dry skin, you don't need to use a setting powder on top of it. If you have more of a combination/oily skin you will need to powder it. But it won't give you a full matte finish. - Skin type : Dry, normal, combination/oily and mature skins > That foundation will look good on almost all skin types. As I said if you have a dry skin you don't need to powder it, but since it's a moisturizing foundation it won't dry out your skin. For people with more of an combination/oily skin you will need to powder it. 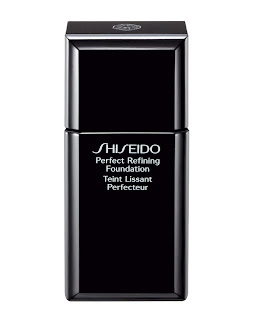 It's a smooth and light liquid foundation so blends nicely into more mature skins too. If you have a very oily skin this won't be a good foundation for you. - Well that's the impressive part of that foundation. It does last a very long time. I wouldn't say 15 hours but definitely 10/12 hours (no touch up needed). I wore it from 9am to 10pm when I was in my country house last week. It started to slide off my face around 7pm and I spent my afternoon under a very hot sun. Didn't get oily and no touch up. The foundation comes in a tiny plastic squeezing bottle... and this is awesome ! It's perfect to carry in your bag or on vacation. The amount of foundation is like any other regular foundation : 30 mL / 1 FL. OZ. The packaging is so tiny that you actually think there would be less foundation than that in it. Now that's the only down part of that foundation. 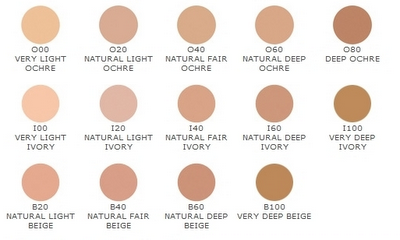 It only comes into 8 shades : B20, B40, B60, B100, I00, I20, WB40, WB60. B stands for Natural Beige, I for Ivory and WB for Warm Beige. Mine is the lightest which is I00. If you have a dark complexion you won't find a shade for you and if you have a very yellow undertone that foundation doesn't offer the shades 020 or O40 which are standing for Ochre colors. That foundation is also non-comedogenic et dermatologist-tested. It retails for 34€ in France (tax included), which is around US$42. 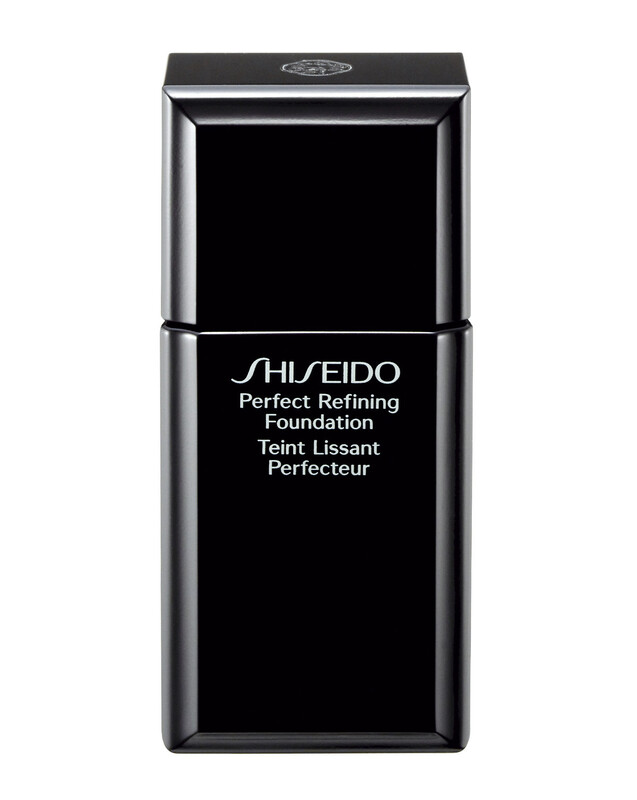 I think Shiseido is not that expensive in France, so you may wanna check the regular price in your country. I know for a fact that that foundation is very very expensive in Australia but Australia is soooo expensive when it comes to make-up, it's insane ! I heard people paying AU$82 for it ! In conclusion this is my new favorite foundation, for winter at least. NARS Sheer Glow is still my fav for summer because it gives that instant glow to my face. Hope that review helped you. very lengthy and helpful review! i still don't wear full-face foundation unless i'm going out to event or for photo-taking purposes. i enjoy reading your blog. welcome back to blogging!